The Mahindra XUV300, which is loosely based on the Ssangyong Tivoli, will launch in India on 14 February. Ahead of the Maruti Viara Brezza rivalling SUV’s commercial launch, a leaked document has disclosed the full features list of the entire range of variants. Bookings for the Mahindra XUV300 have been ongoing for a minimum amount of Rs 20,000. The new SUV will go on sale in South Africa, the company’s second home, soon after it launches in India. The new SUV, which will rival not just the Brezza but also the Ford EcoSport and Tata Nexon, is the company’s first monocoque offering in this segment. 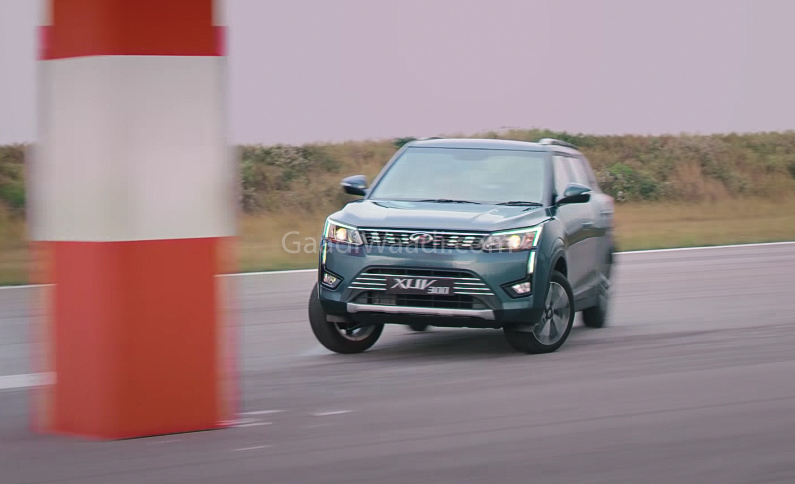 The Mahindra XUV300 shares its X100 platform with the internationally acclaimed Ssangyong Tivoli, which has won various awards for the high safety and performance it offers. The baby-XUV is, however, slightly smaller than the Tivoli, which is even longer than the Hyundai Creta. The Mahindra product is less than 4-metre long, which puts it in the same category as models like the Brezza. 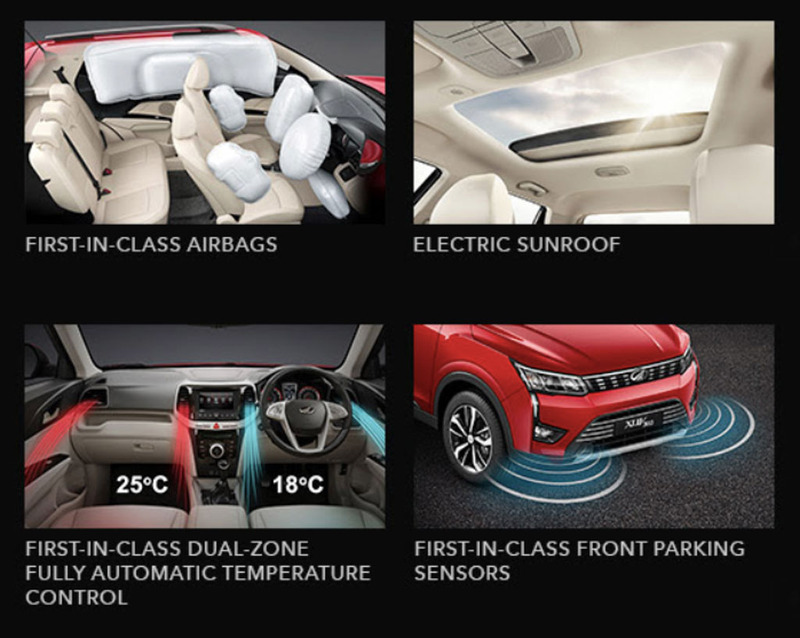 As has been known since a lot of time now, the Mahindra XUV300 will come with several first-in-class features, including 7 airbags, heated ORVMs, front-parking sensors, sunroof, dual-zone fully automatic air conditioning, four-disc brakes and multiple steering settings. The aforementioned leaked document has totally revealed the variant-wise distribution of the features. Starting with the entry-level version, the Mahindra XUV300 W4 gets an audio system with four speakers, dual front airbags with ABS and EBD, ISOFIX child seat anchorage, electrically adjustable ORVMs, electric tailgate release, gearshift indicator, multiple steering settings, and 16-inch steel wheels. The Mahindra XUV300 W6 features all the above, plus keyless entry, multi-function steering wheel, wheel caps, silver accents on the upper and lower grille, plastic door cladding, black roof rails, and rear spoiler. 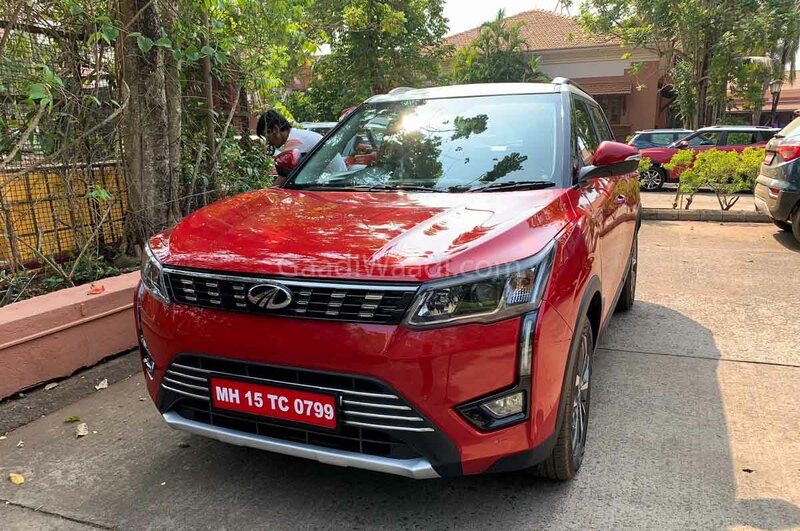 The Mahindra XUV300 W8 features all the above, plus passive keyless entry with push-button start, 7-inch touchscreen infotainment unit with Apple CarPlay, Android Auto, and Satnav, two tweeters, fabric upholstery, leather-wrapped steering and gear knob, ESP with hill hold, engine start-stop, dual zone AC, cruise control and many more features detailed below. And the top of the line W8(O) variant offers more safety features like knee airbags, side curtain airbags, TPMS and some premium features as well.